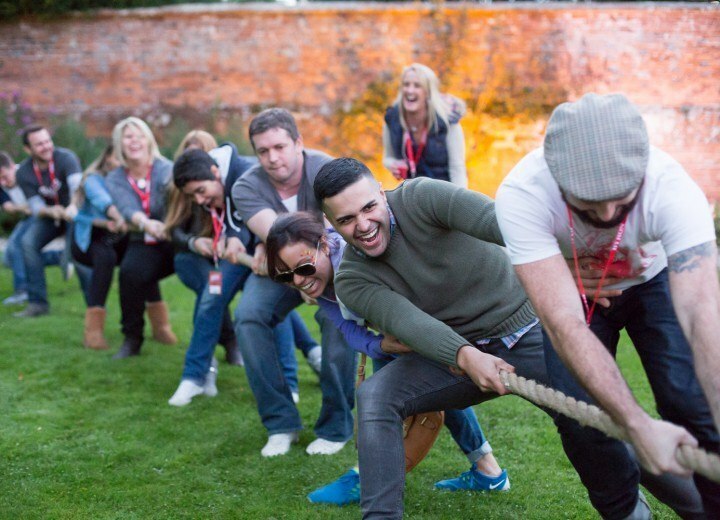 A two-day event to thank and motivate Byron’s staff, incorporating a pinch of team bonding and plenty of party fun. 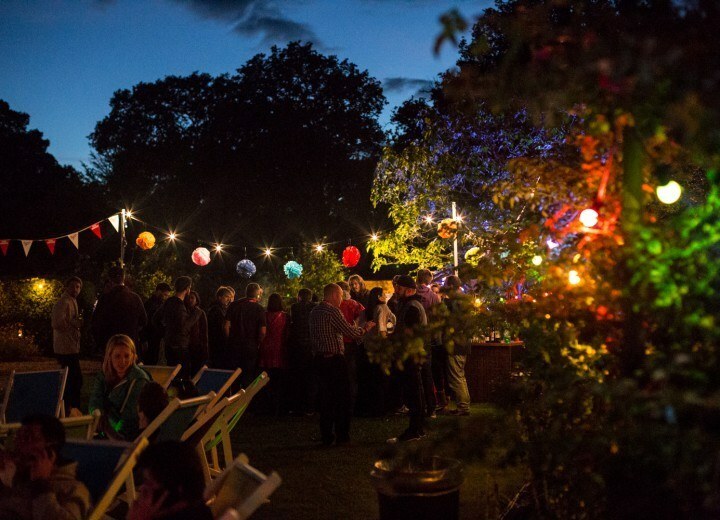 A one-off festival for the staff of Byron in Reading’s Wasing Park. 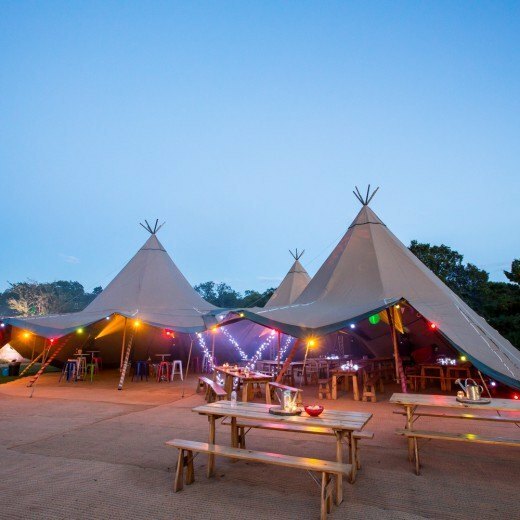 Guest accommodation included 20 luxury bell tents, with a giant three-hat teepee taking centre stage for the evening’s entertainment. 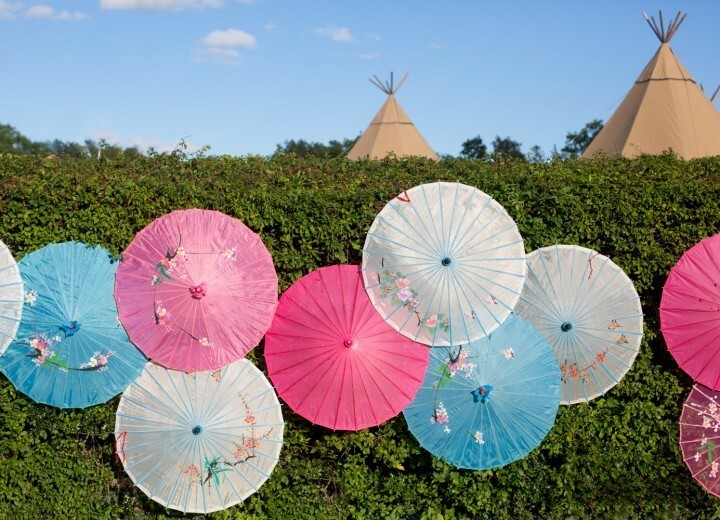 Festival theming came with plenty of unique elements:a colourful parasol wall, paper poms and bright lanterns amongst the trees. 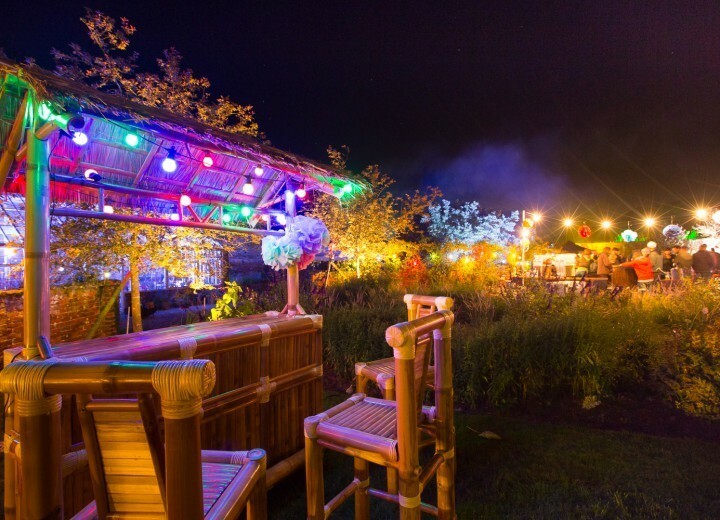 Slush Brothers Cocktails served from the Tiki bar, and pockets of deckchair seating for weary dancers. 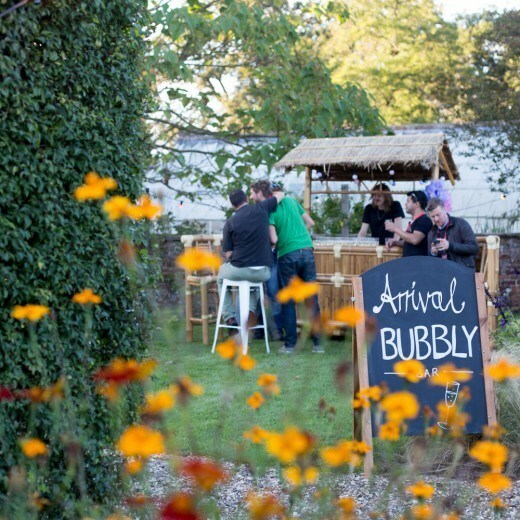 On arrival guests enjoyed Champagne at the Tiki Bar, before getting to grips with garden games, which included croquet, giant Jenga, limbo and a hotly contested tug of war. 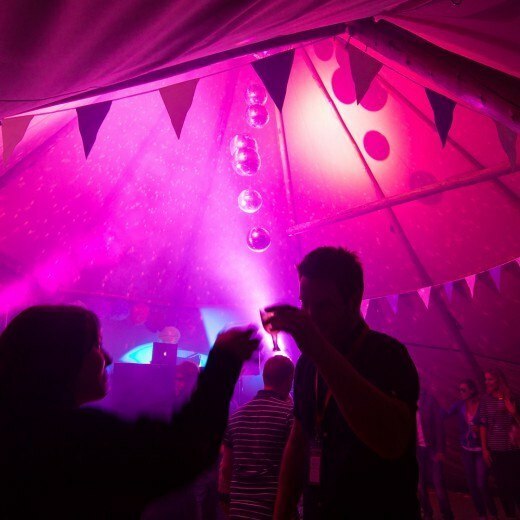 As the evening drew in guests headed into the teepee, to be welcomed by a warming fire pit and dance floor, complete with disco ball chandelier and non-stop hits courtesy of Fullcircle DJ Max. Food was an important factor for this bunch, so renowned street food traders, Kerb suggested Miss P’s BBQ, who served up their signature dishes: dry-rubbed, slow-smoked beef brisket and succulent pulled pork, with traditional accompaniments. 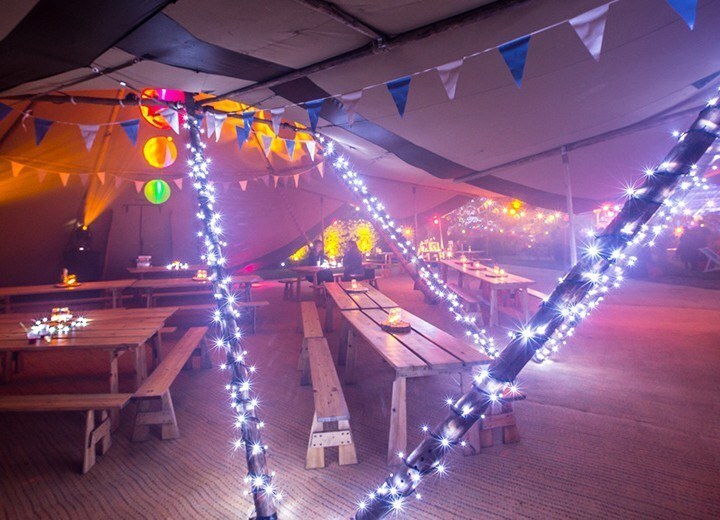 The morning after, Byron’s top chefs took to the outdoor fire pit to cook up a festival style breakfast. 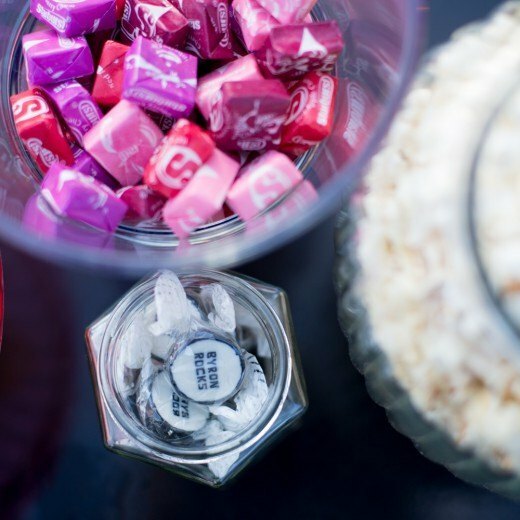 Soon after, it was back to business, with guests continuing the celebrations on the final day at London’s Ace Hotel. "The event was amazing and so were your team - thanks so much!"